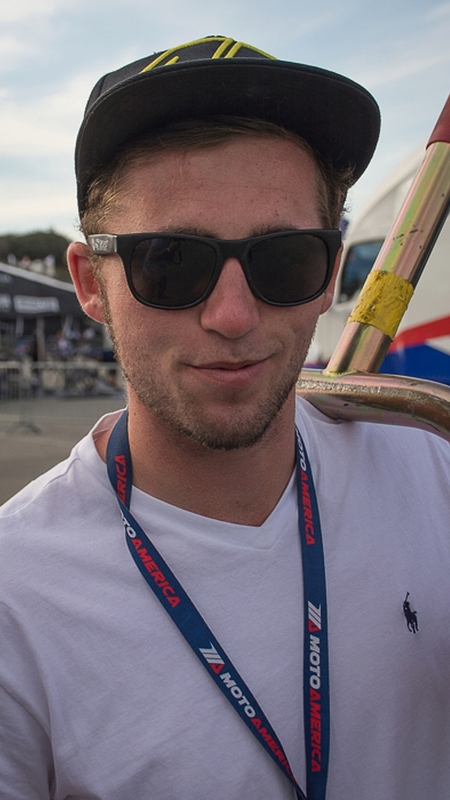 What fuels these privateer racers? Its expensive, time consuming, and they go up against pros like Josh Hayes with a fleet of technicians, sponsors, and equipment. Yet, the enthusiasm and pride in participating at the pro level and the sense of pride for accomplishing their goals for the weekend is contagious. An inside look at the challenges and celebrations of a privateer racer will make you wish you could get out there. Max Flinders #888 was born on November 9, 1996. 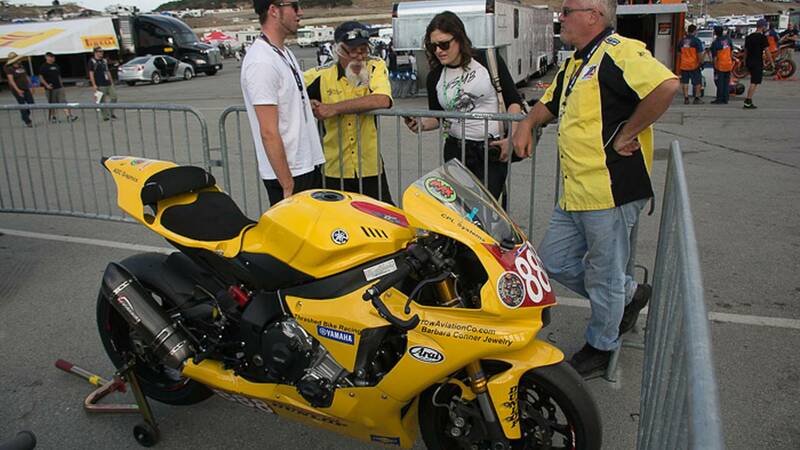 At 18, he’s in his third season of pro racing and this year is racing a 2015 Yamaha R1 in MotoAmerica’s SuperStock class. Flinders began his racing career in the historic British Grass Track Championships where he became a youth champion. 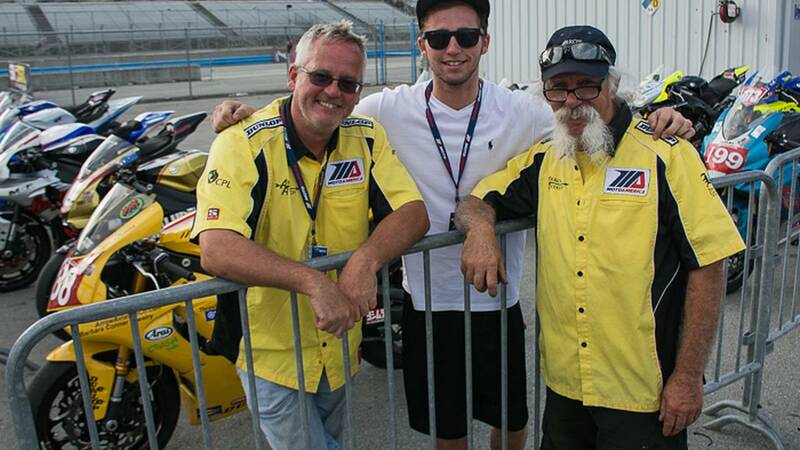 In 2008, his family relocated to the US to help him pursue his road-racing career. 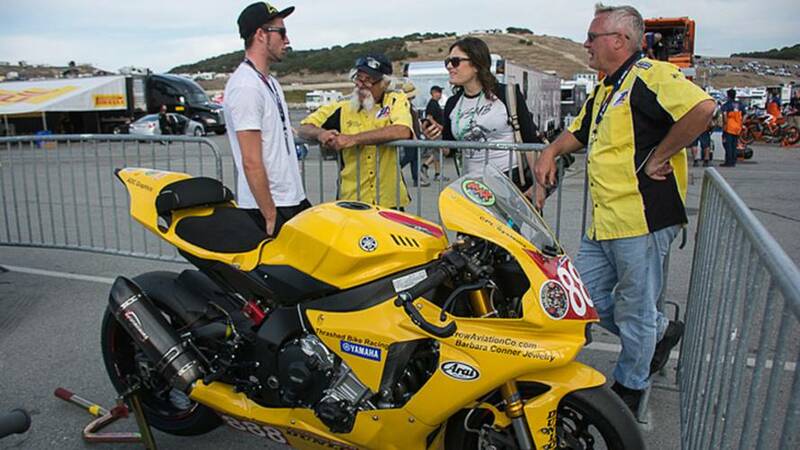 By 2011 he became a club-racing champ with AHRMA (American Historic Racing Motorcycle Association) and launched his pro career in the US in 2013. 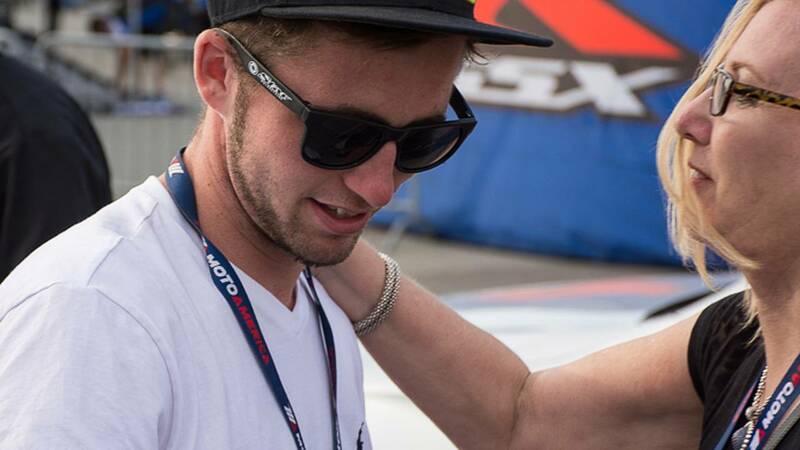 When Flinders was 11, he and Ivonoff completed road-racing school together in Slidell, Louisiana. Ivonoff started racing and winning with AHRMA, and continued to follow Flinders’ progress, growth, and winning streak. This caught the attention of another Louisiana racer, AHRMA Trustee Luke Connor. 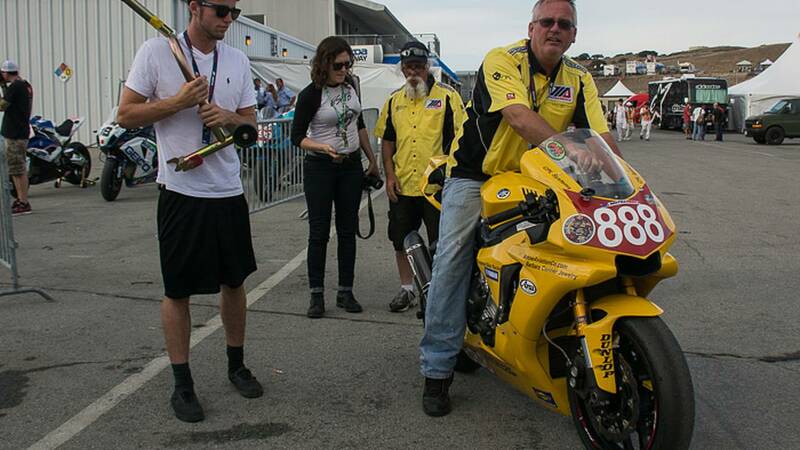 Flinders proved he was an ambitious racer with promise and after many conversations, which no doubt included some delicious Louisiana home cooking (a staple at all important events), Ivonoff with the support of Connor decided to help Max Flinders develop a racing program for MotoAmerica. 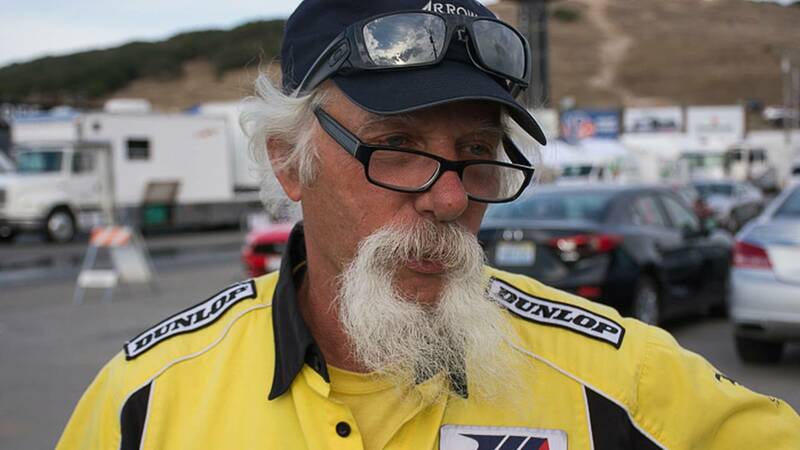 Ivonoff, a helicopter mechanic for over 40 years, manages the team with focus and calm and seems to take all the curveballs this season in stride. Early in the season, their motorcycle manufacturer went out of business forcing them to change platforms. After some research, they went with Yamaha who have been understanding and responsive to race team deadlines and pressures. At Miller Motorsports Park in Utah they broke a gear that destroyed the engine right before the 4th of July. Yamaha was able to get a new engine sent out to Louisiana in time for them to mount it, have it dyno-ed, tuned, and heat-cycled. They were able to stay on schedule to get back on the road and to the next race on time. Sunday’s early morning showers brought with it a slew of decisions and changes, and everyone switched to rain tires. By the afternoon, the sun came out and the conditions changed, and the real pros like Josh Hayes were able to change to slicks on the grid. 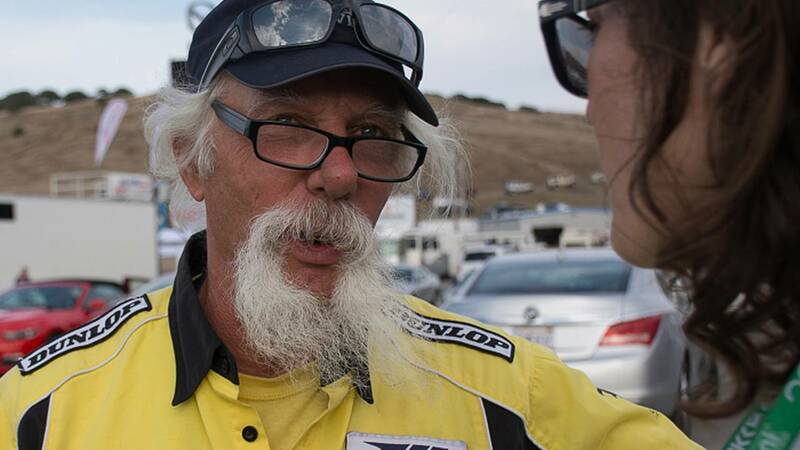 “We are privateers, we are different from pros who have support from a group, company, or manufacturer that pays for the ride, and a privateer is basically working out of his back pocket. ‘Hip-National Bank’ as I like to say,” Ivonoff quips. Mounting a race program in a national circuit that travels across the country, with a short turnaround, and on a limited budget requires creative thinking. To help with the travel expenses they “race pool” with KTM RC Cup racer Jody Barry #717, a 16 year old from Illinois who also took a 3rd place earlier this season at Road America. They pit together and haul equipment together. Jody and Max’s dads are important parts of the team too. Everyone needs to pitch in to make it work and they are laying important and successful groundwork this season for a competitive season next year. 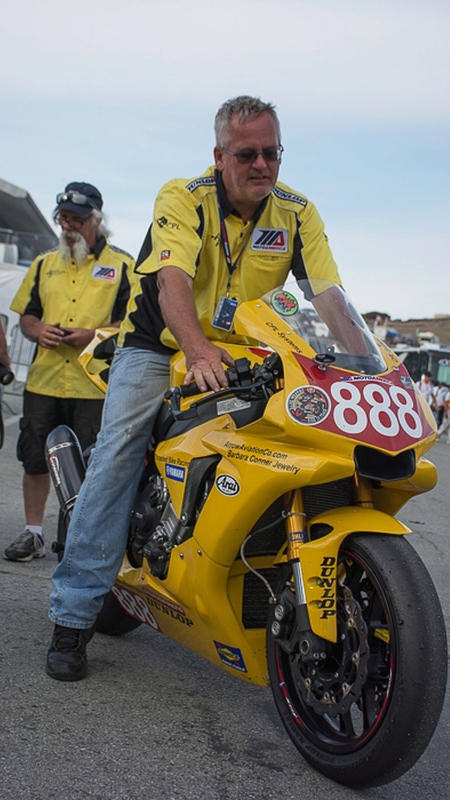 In his first time out at Laguna Seca, Flinders finished 17th overall and 11th in his class, a result they are very pleased with. 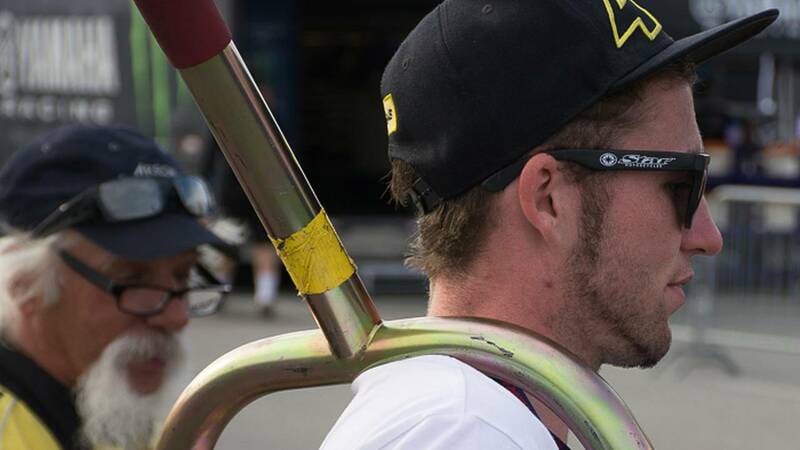 Next up is Indianapolis August 7-9 and is grouped with MotoGP and its 100,000+ spectators, so is the biggest race of the year, and exposure is important for a privateer racer. Wishing them luck for more good lap times and checkered flags.